Commonplace is a short story collection by Christina Rossetti. The title story explores the struggles of Victorian women through the eyes of three sisters (Catherine, Lucy, and Jane Charlmont). Years earlier, their father had mysteriously disappeared at sea. On her deathbed, the mother asked Catherine (the eldest) to remain always near the sea. That day, Catherine became the keeper of her sisters. Catherine is stoic, Lucy sentimental, and Jane ambitious. Jane (the youngest), painfully aware of her poverty, longs for financial security. Her only desire is to marry a wealthy man. While Catherine and Lucy do not approve of her marriage plans, they understand Jane’s desire for security. The short stories in Commonplace have simple plots and are autobiographical in nature. Rossetti’s religious convictions come out strongly in these stories, as in many of her poems. While they are not Rossetti’s best works, the stories in Commonplace witness to the author’s profound understanding of the desires of the human heart. Christina Rossetti is one of my all-time favorite poets. She is best known for having written Goblin Market and Other Poems and the Christmas poem/hymn In the Bleak Midwinter. In Commonplace, Rossetti attempts to write prose fiction. Sometimes, her paragraphs read as lyrically as her poems. At other times, it is painfully clear that she is an amateur at writing fiction. Transitions are clumsy and character development is weak. In the title story, my favorite character was Catherine Charlmont. She is the most “developed”, and her life bears a striking resemblance to the author’s. I generally avoid romance stories, but I enjoyed the title story more than Pride and Prejudice or Sense and Sensibility. My favorite story in the book was The Lost Titian, a tale about the betrayal of the famous Titian by one of his close friends. Although I can’t say that I was overly impressed with the collection, I appreciated the stoicism in her stories. Characters who are carried away by their emotions do not get very far. Her stories celebrate self-control and clarity of mind. 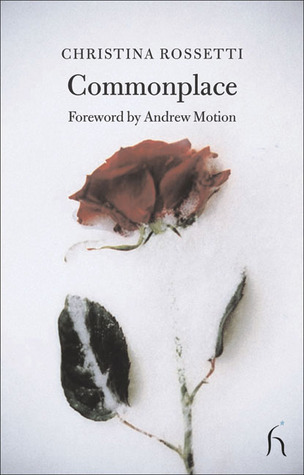 If you love Rossetti’s poems and/or Victorian romance, you might want to give Commonplace a go.